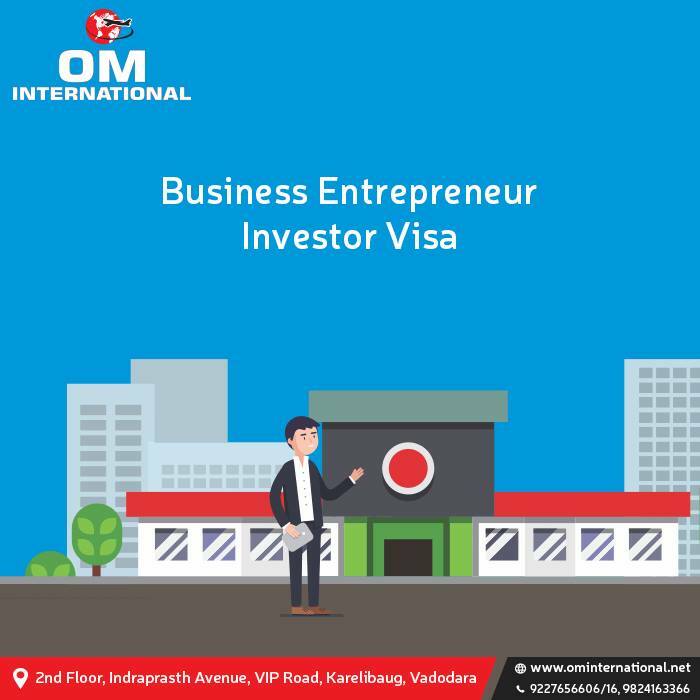 OM VISA Consultancy - Global Immigration, Students, Visitor, Business & Work VISA Consultants: Earn And Settle with your family in Europe by investing through OM INTERNATIONAL...!!! 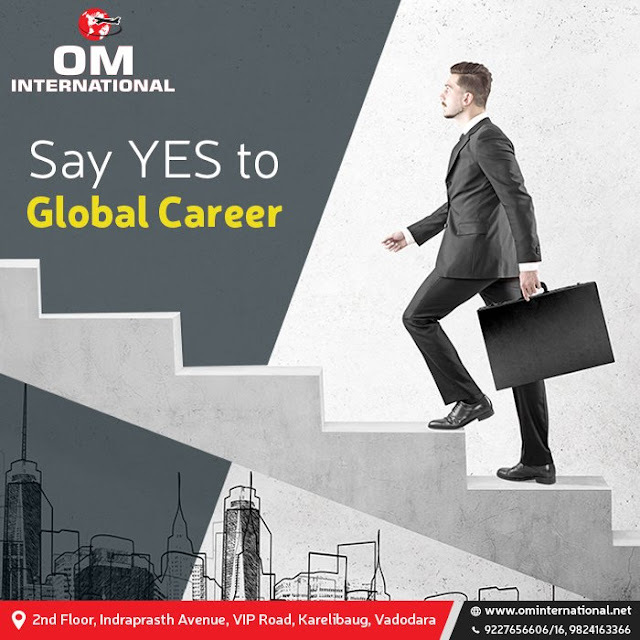 Earn And Settle with your family in Europe by investing through OM INTERNATIONAL...!!! Spain is located in the westernmost part of Europe, sharing its borders with France and Andorra to the northeast and Portugal to the west. In the south, Spain is separated from the African continent by a narrow strait of only 14 kilometers. Spain is considered by many to be a shining pearl in Southern Europe. Historically, Spain experienced multiple different phases, including years of alien invasion, dynastic changes, and the joyous unification of the country by Queen Isabel I of Castile and King Fernando II of Aragon in 1492. On October 12th of that same momentous year, Christopher Columbus arrived in the Americas, heralding the conquest of much of South and Central America. The Kingdom of Spain has since been a prominent power in many parts of Europe, Asia, and the Latin America region and is recognized as the first global power. After the annihilation of the Spanish Armada in 1588, the once proud country plunged into recession for centuries, made worse by separation, civil wars and dictatorship. By the second half of the 20th century, Spain emerged from its troubled past and has since progressed towards restoration. The Spain of today is widely celebrated as the birthplace of the world’s second-most spoken language and a cornerstone in the foundation of Western society. On September 27, 2013, the Spanish government issued a new immigration law, creating a huge opportunity for non-EU investors to have the residence permits via investment. On July 31, 2015, the Spanish government renewed this immigration law making it possible for three generations within a family to apply for residence together. Applicants must invest in real estate property with a minimum value of €500,000. There are no restrictions on the type (agricultural, industrial, residential or commercial) or quantity of properties. The investment can be composed of one or more sets of real estate, as long as the investment meets the minimum requirement with a total value of at least €500,000. Aged 18 years old or older. Have a qualifying health insurance plan 4. Non-EU Citizen. Main applicant’s spouse, children under 18 years of age, and unmarried children over 18 who are financially dependent on the applicant and financially dependent parents of the main applicant. Portugal, perched on the Iberian Peninsula in Europe, means “warm port” in Latin and celebrated its declaration of independence on June 10th, 1582. It abuts the vast Atlantic Ocean to the west and south and borders Spain to the north and east. Besides the territory of the European continent, Portugal holds sovereignty over the Azores and Madeira in the Atlantic Ocean. Lisbon, the capital of Portugal, has the westernmost point of Europe – The Cape Roca. Portugal is a modern industrial and agricultural country with prominent metal refining, chemical, and oil industries, yet it is best known for as a world-leading producer of cork, made from cork oak. Portugal was an important cultural birthplace in modern western history and became a global empire with Spain during the 16th century. Portugal is a member of the EU, and as one of the worlds’s developed countries, it is also a founding member of the Euro zone. 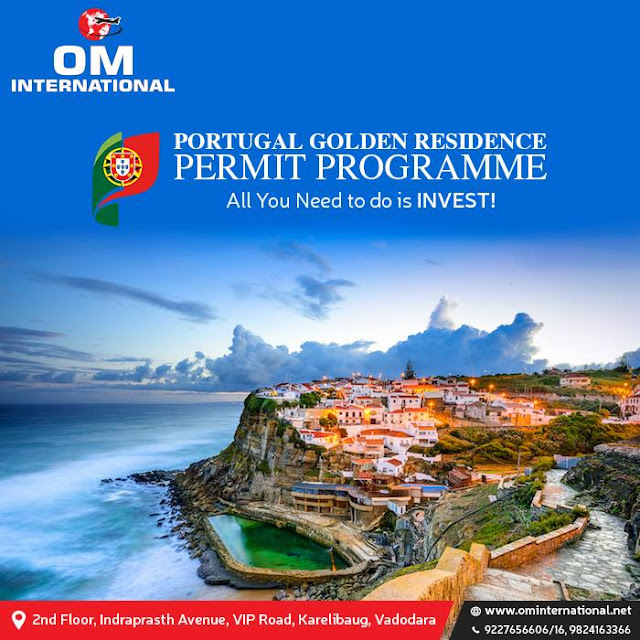 Portugal’s Resident Permit for Investment Activities (ARI), also known as the Golden Residence Permit Programme (GRP), came into effect on October 8th, 2012, and was revised again in June and September 2015. The investment requirements allow for the purchase of real estate property in Portugal with a value equal to or above €500,000. There are no quantity restrictions on real estate properties; it can be zoned for residential, commercial, industrial, or agricultural use; the investment can be composed of one or more sets of real estate as long the total investment value is equal to or above €500,000. Purchase real estate property in Portugal with a value equal to or above €500,000. Must be Non-EU country citizens. Must provide proof of no criminal record. Must provide proof of qualifying health insurance. Children over 18 years old who are single, studying and financially dependent on the main applicant. Parents (of both main applicant and spouse) who are financially dependent on the main applicant. One person’s application, benefitting 3 generations, allowed to apply for permanent residence after five years, allowed to apply for Portuguese nationality after six years. There are no requirements for certification of financial sources, no business background requirements, no educational background requirements, no language requirements, and no age limitations. Minimal stay period requirements, permitted to work, permitted to conduct business. Real estate can be sold after 5 years with no effect on residence, and real estate appreciation rates benefit investors. Real estate can be leased out to earn rental income. Visa-free access to the other 26 countries of the EU. Become a European resident and enjoy the benefits of the European countries. Non-global tax country, there is no need to worry about the loss of assets. Global asset allocation, safeguard asset from depreciation. Located at the southernmost part of the Balkan Peninsula in South-eastern Europe, Greece covers an area of 131,957 square kilometres. As the birthplace of European civilization, it has built one of the world’s most long-standing civilizations, which is not only a valuable cultural legacy to its offspring but also a priceless treasure to all humankind. It boasts a beautiful 13,676-kilometer-long coastline and approximately 6,000 islands and islets scattered throughout the Aegean Sea, the Ionian Sea and the Mediterranean Sea. Whether on the mainland or one of the many islands, Greece offers you a chance to ramble on beaches of soft sand and waves while enjoying ample sunshine and stunning views of rugged mountains meeting enchanting seas. When the evening lights are lit, a more romantic atmosphere is difficult to imagine. As the Greek motto goes, one would rather die than live without freedom, a sentiment that is easy to appreciate amidst such charming surroundings. In April of 2013, the Greek Parliament passed the Residence Permit in Greece by Real Estate Acquisition or Strategic Investment Law No. 4146/2013, which provides that citizens of Non-EU countries that purchase Greek real estate property with a minimum value of €250,000 can request a five-year residence permit. Provided that the applicant still owns the property, the residence permits can be renewed for another five-year period. Attracted by this favourable policy, Asian investors are flocking to Greece, investing in real estate and acquiring residence permits. Since Greece is one of the 27 EU member states and also a member of the Schengen Area, the residence permit issued by the Greek government will provide valid visa-free access to the whole European Union and Schengen Area. In July of 2015, the Greek Parliament voted to pass the Amendment to the Immigration Act (No. 4332/2015), which provides that adult foreign nationals who invest in the purchase of real estate property priced at €250,000 or more in the Greek territories, are entitled to five-year residence permit, including their spouses and children up to 21 years old, as well as the parents of both the main applicant and their spouse. This residence permit is valid for five years and can be renewed subsequently every five years, provided that the property is still in the ownership of the applicant. Benefit for the Entire Family: The whole family can obtain residence permits through a single application. 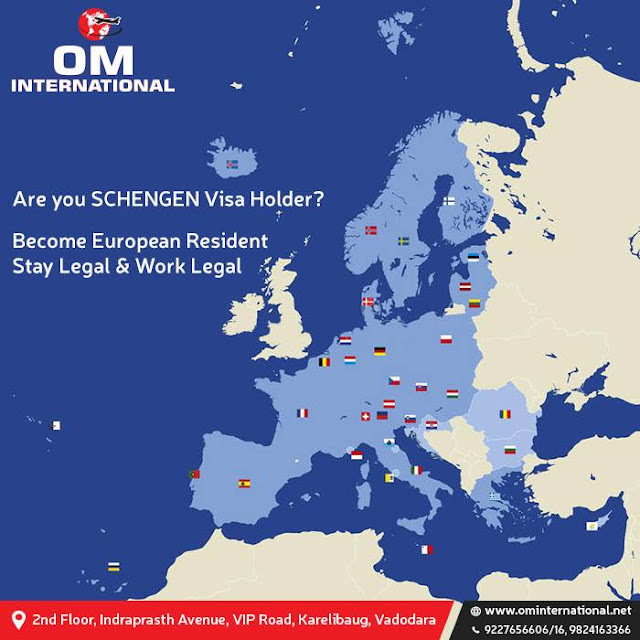 Lowest Investment: Obtain residence permits with the lowest required investment amount among Schengen Zone. Easy Procedure: No requirement for education, language level, business backgrounds or proof of funds. Short Application Period: 2-3 months’ time before approval. Stable Investment without Risk: Invest in immovable properties, potential to increase value, and able to rent freely. No Residence Requirement: Entering Greece before the application is the only requirement. Free Access to 30 European Countries. Friendly and Comfortable Living Environment： Ranked one of the friendliest countries in the world with the lowest crime rates in Europe. Access to the Same Free Public Healthcare as Greek Citizens. High-quality Education: Free access to Greek public schools during the compulsory education period or freely choose from the prestigious international schools. Privilege to Join the Greek Nationality: Investors in Greece can apply for naturalization after 7 years of legal residence (children in Greece with 6 years of public education or more can apply for naturalization). Ireland is a beautiful and rich country in Western Europe known for its captivating landscape and cleansing air. Grasslands and pastures cover 80% of the island. It is surrounded by the Atlantic Ocean and located west of England. The official language of Ireland is English. Ireland is one of the fastest growing economies in Europe and it is also one of the wealthiest countries in the world. Its geographical location, low tax rate and membership to the EU and Euro zone attract many international companies that want to gain access to Europe and North America. Thousands of the world’s largest technology and innovation companies have established their European headquarters in Ireland, including Apple, Google, Huawei, Intel, Microsoft, and Dell. After the ease on the immigrant policy, Ireland became more attractive to those who are seeking a higher quality life and better education for their children, as well as those interested in the welcoming business environment and excellent investment opportunities. To facilitate further Irish economic development, the Irish Government introduced the Immigrant Investor Programme in 2012, and further enhanced the programme in 2016 to facilitate investors and business professionals from outside of the EU to avail themselves of the opportunities of investing and living in Ireland. 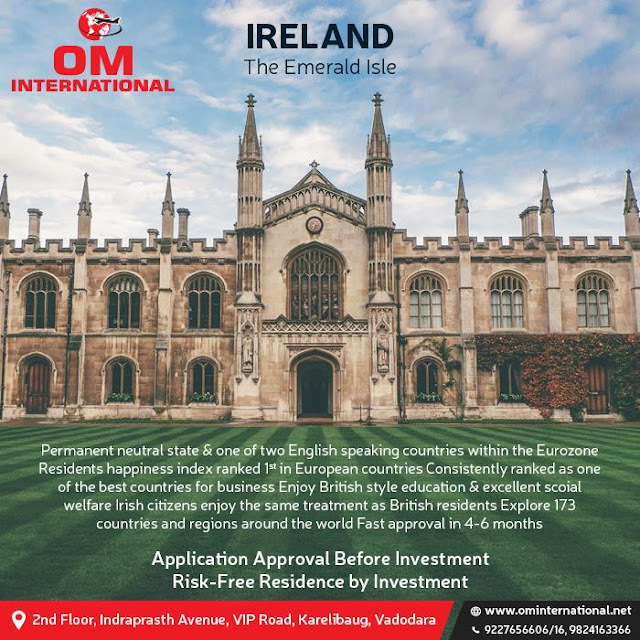 The Immigrant Investor Programme facilitates non-EEA nationals and their families who commit to an approved investment in Ireland to acquire a secure residency status in Ireland. A minimum investment of €1,000,000, in either a single Irish enterprise or spread over a number of enterprises, must be held for a minimum of 3 years under the Programme. All applicants are non-EEA nationals. The principal applicant is above the age of 18. Eligible family members are his/her spouse, children under the age of 18, and unmarried children aged between the ages of 18 and 24, given that they are financially dependent on the applicant. €1,000,000 to invest in an Irish Enterprise for 3 years. Supporting documents as evidence of net worth (minimum of €2 million or equivalent). All applicants have not been convicted of criminal offenses in any jurisdiction. All applicants must be of good character. Low Barriers: No requirement of language, education, business background, and physical examination. International Language: The only country in the Euro zone with English as its official language. Top-notch Education: Free compulsory education (in English) and free public university education with citizenship. Ireland is highly-educated and famous for its sophisticated education system. Food Safety: Ranked 1st with Canada for the safest food in the world. More than 50% of the milk powder and 25% of infant milk formula in the world is exported from Ireland. Ireland also has some of the world’s finest seafood from its unpolluted oceans. Clean Environment: Ireland, known as the “Emerald Isle”, is the least polluted country in the world. Safe Country And Friendly People: Ireland is 1 of the 7 neutral countries in the world and is a top-ranked country on the Global Peace Index and the Global Happy Planet Index. It is graded as the friendliest countries in the world and has one of the lowest crime rates in Europe. Low Tax Rate: Ireland has a low (12.5 percent) corporate tax rate, leading to its ranking as the “Best Country for Business” by Forbes in 2013 and has signed the Bilateral Tax Treaty with many countries. Family Immigration: All family members can get residence permits, which allow them to work study and do business in Ireland. Citizenship: Investors can apply for naturalization after meeting the residence and other requirements. Low Risk: No need to invest money before approval. Quick Approval: Approximately 6 months from application to the residence. Minimum Residence Requirement: Only required to visit Ireland at least once per the calendar year so you are not required to give up your business or job in your country of origin. The Republic of Malta stands out like diamonds in the Mediterranean. With bright sunshine, clear water, red sandy beaches, and the unique underwater scenery, Malta is one of the most famous and beautiful tourist destinations in the world，delivering you the opportunity to enjoy a cosy life amongst blooming flowers throughout the year, with evergreen plants, and gentle sea breezes that freshen the air. Possessing the membership to the European Union, Euro zone, Schengen Area, the British Commonwealth, Malta enjoys the benefits of international cooperation. With the benefit of an English teaching environment, as well as close ties with British and American colleges and universities, Malta is proud to provide an excellent education to students who wish to achieve academic excellence and gain an international mindset. Studying in Malta gives the students easy access to the elite universities. In the meantime, with her long history of the health service since 1372 and her continuing effort in healthcare improvement, Malta is ranked fifth by WHO’ s Measuring Overall Health System Performance among 191 Countries. Respect is given to the medical staffs, and the local hospitals provide high-quality service in the finest of facilities. The sound economic environment and the perfected facilities ensure you a high-quality life. Required investment in a form to be determined by IMA, having an initial value of €250,000, which must be held for a minimum period of 5 years. Possess the title to the property, valued at no less than €270,000 if situated in Gozo or the South of Malta and €320,000 if situated elsewhere in Malta, for a minimum period of 5 years. Lease a residential property with a minimum annual rental value of €10,000 if situated in Gozo or the South of Malta or €12,000 if situated elsewhere in Malta. The main applicant must be at least 18 years old and provide supporting evidence of a secured annual income of at least €100,000 or in possession of fixed assets of not less than €500,000. Qualifying property (owned or rented) for 5 years. Qualifying investment (govt bond) for 5 years. Certificate of no criminal history. Applicant must be a non-EU citizen. No language, education or business background requirements. Less investment, more economical: only €250,000 to get the right of residence. Time-saving application: duration of the application process is only 3-6 months. Having the right of residence for the whole family: With one main applicant, immigration permits are granted to the whole family, up to four generations. No residency requirements: enter only once during the application. No risks: “A” level national bonds. Travel to Schengen Countries freely: member of the EU, Schengen, the British Commonwealth, and the Euro zone. Global tax avoidance. Cyprus, the birthplace of Aphrodite-Venus, Goddess of Love and Beauty. It is an attractive place to reside, with a warm and stable climate, located in a convenient geographical position in the eastern Mediterranean. In accordance with the newly issued immigration policy, section 6 (2), the inner conference in the Ministry of the Interior of Cyprus decided to grant the immigration permits to the applicants who meet the following investment requirements. The main requirement is to purchase property with a total market value at least €300,000 (plus VAT). (The contract of sale must be submitted to the Cyprus Department of Land and Surveys). A certificate of no criminal history must be submitted. Residence Permits are granted to the main applicant’s whole family, including their spouse, any financially dependent children under 25 years of age, and the parents of the applicant and spouse. The applicant must provide supporting evidence of a secured annual income of at least €30,000 that is derived from outside of Cyprus. This income increases by €5,000 for each additional dependent, and €8,000 for each dependent parent. The applicant must deposit a minimum of €30,000 from abroad into a Cyprus bank account, which will be frozen for a period of three years. Strategically located at the crossroads of three continents – Africa, Asia and Europe – Cyprus is the transportation hub of the Eastern Mediterranean. Healthy and robust economy, managed to sustain this stability despite the economic crisis and world recession. One of the lowest corporate tax rates in the EU at 12.5 percent. High standard of living, a gateway to EU countries. The government encourages foreign investment. Fast track application procedure, within 2-3 months. No residence requirement, no language requirement. The Resident Permit is granted to the whole family, their spouse, any financially dependent children under 25 years old, and the parents of the applicant and spouse. In 2016, the Cyprus Council of Ministers approved the amendments to the Scheme for Naturalization of Investors in Cyprus by Exception. Said scheme is based on subsection (2) in section 111A of the Civil Registry Laws of 2002-2015. Any non-Cypriot citizen may apply for Cypriot citizenship through Naturalization by Exception if the applicant makes an investment of at least €2,000,000 for the purchase of real estate or invests in any Cypriot companies and business. Citizenship is granted to the whole family, their spouse and all financially dependent children under 28 years old. Certificate of No Criminal need to be applied. Invest at least €2.5 million in commercial units in Cyprus, including a residential property valued at €500,000 plus VAT. Option A – Residential property investment: Investing €2 million (plus VAT) in residential property in Cyprus. Option B – Commercial investment: When the investment includes any commercial units, then the total investment should be €2.5 million (plus VAT) in Cyprus [the required residential property must be valued at a minimum of €500,000 (plus VAT)]. The main investment may be sold after a period of three (3) years, however, the investor must always maintain a residential property in Cyprus, with the value of €500,000 or greater (plus VAT). Obtain EU citizenship within 7-8 months. Citizenship is granted to the parents, spouse and dependent children of the investor. Reside, work, and study freely in any EU member state (including Switzerland, Norway, Iceland, and Liechtenstein). Visa-free travel to over 150 countries worldwide. No need to physically reside in Cyprus. Informative blog post. If you are planning to invest or trip to Europe, you have probably stumbled across the word “Cyprus” during your research. But the question arises in your mind, what is precisely the Cyprus area? When do you require Cyprus visa to visit Europe and how do you apply? Do not get worried. We will overview all the requirements that you need to get Cyprus visa and permanent residence for enjoying your vacations and benefits. Thanks for sharing this post with us.